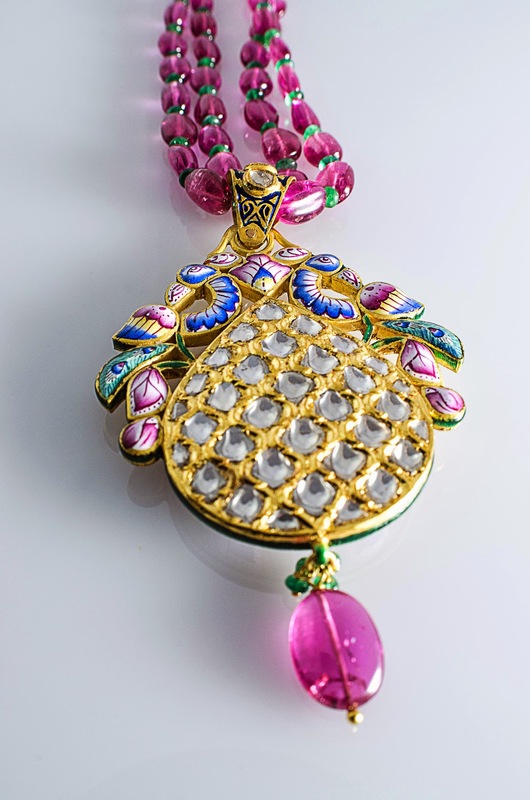 Intricate enameling (meena) done on a Kundan Meena Pendant using the rare color Pink enamel & studded with diamond polkis & strung with Pink Tourmalines. 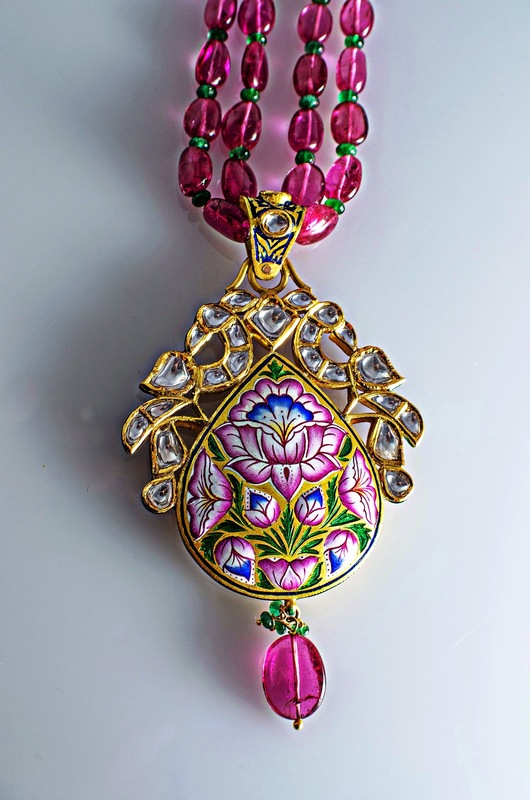 The back of the pendant is decorated with beautiful enamel of pink, blue & green enamel color. This pendant set is available for sale at Pink Meena Pendant Set SJ PS 80 by Suranas Jewelove.